I love it when a fixture just blows my mind. 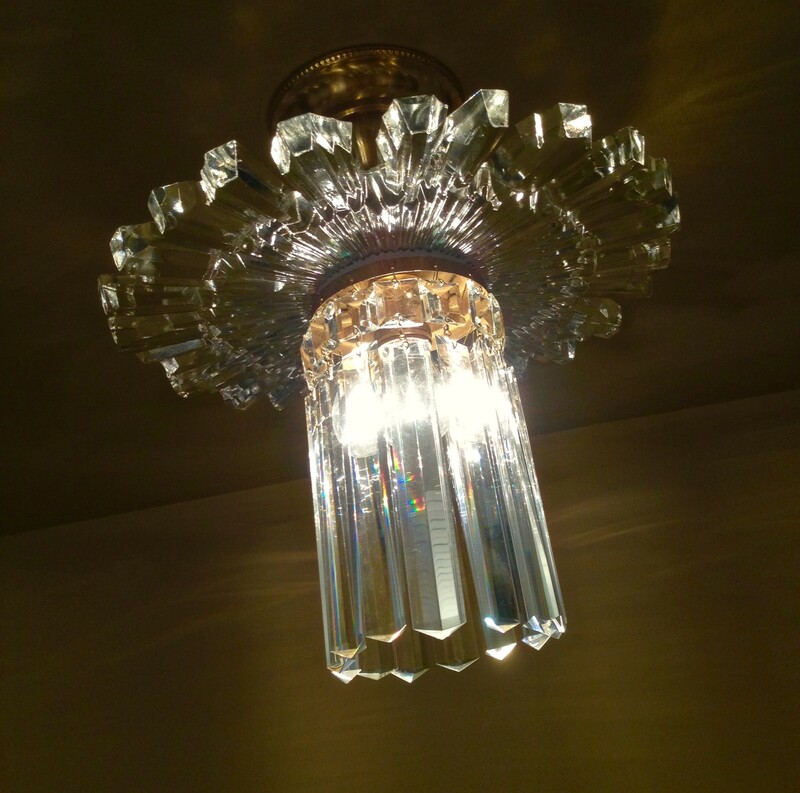 Such as this 1930s crystal star by Lightolier. 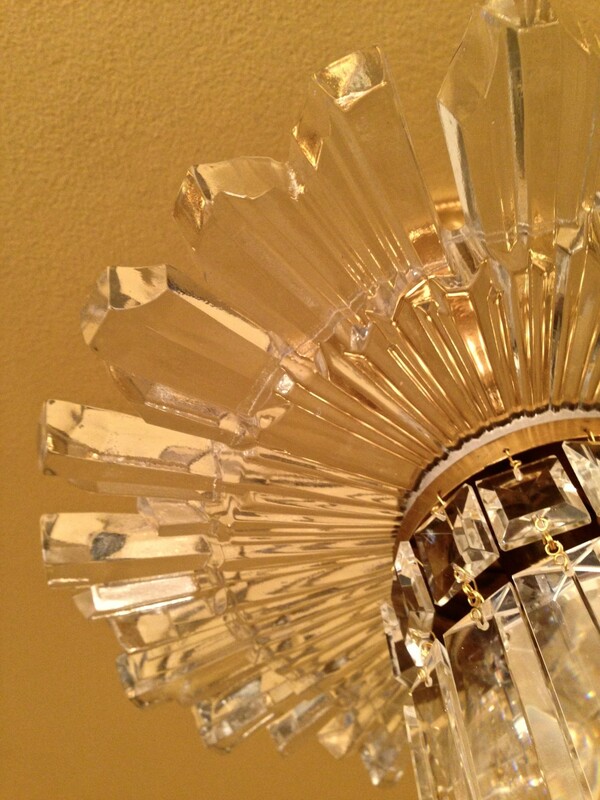 The fixture features a breathtaking cast glass star! The star is an impressive 13-inches wide, and is lusciously molded. Wow. Wow! And lighted? The star just dazzles. The fourteen crystals are 7-inches long. Just looking at such beauty leaves me awestruck. 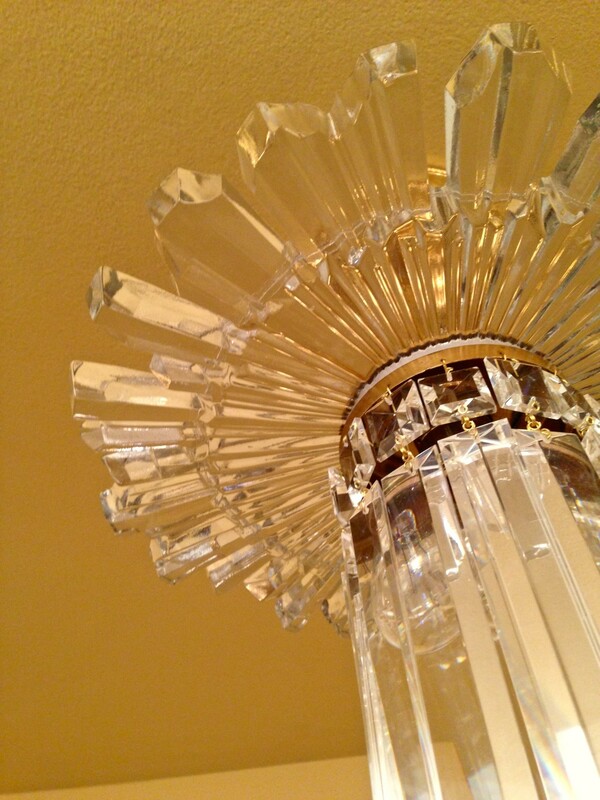 2 Responses to A 1930s Crystal Star! By Lightolier! 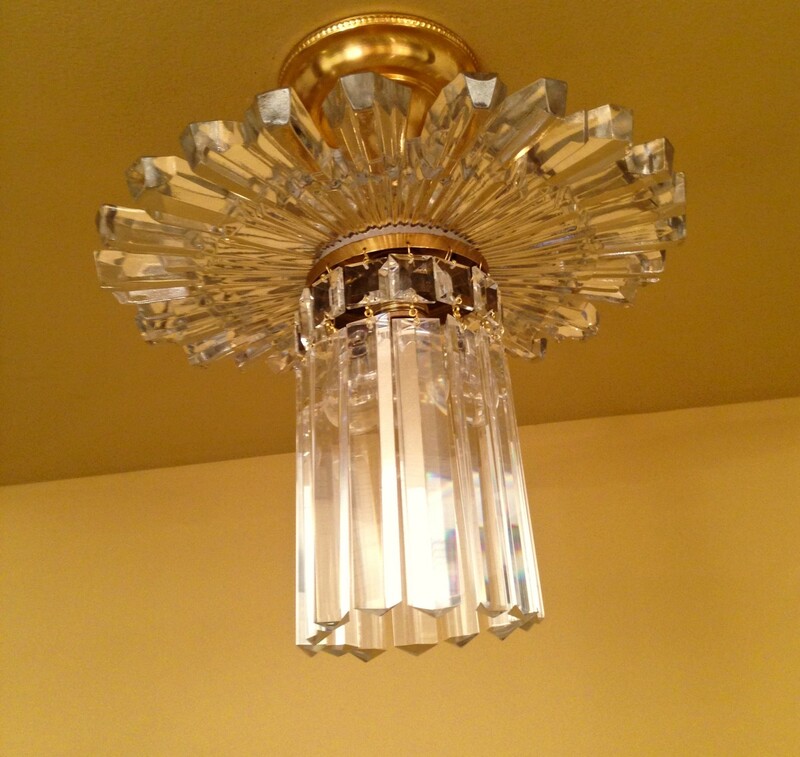 Wow, someone’s trying to sell just the cast piece on craigslist by us, I never would have imagined the full fixture was so pretty!